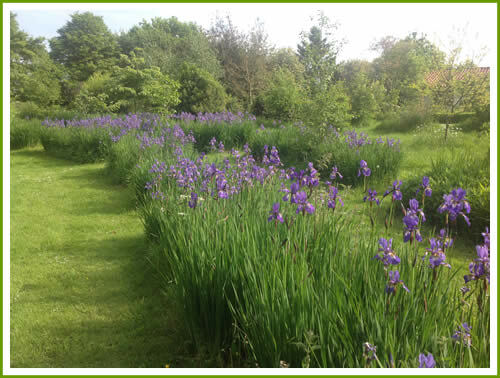 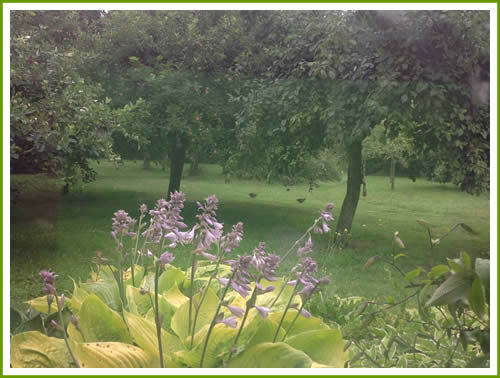 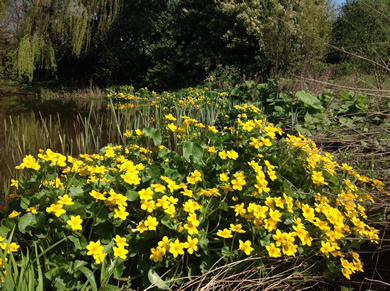 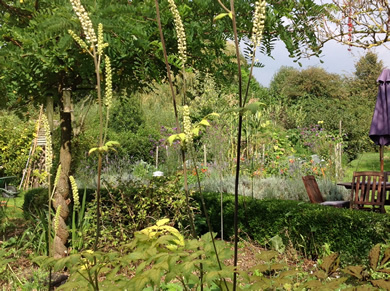 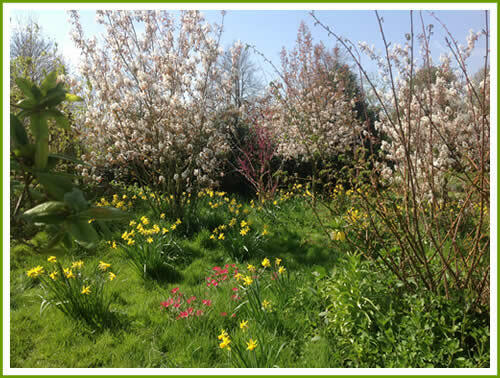 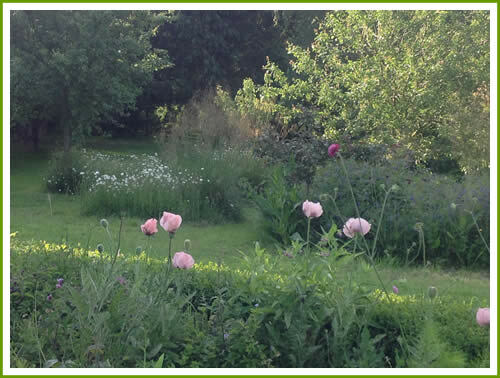 The development of our tranquil 2 acres has evolved from passionate hobby to lifestyle choice. 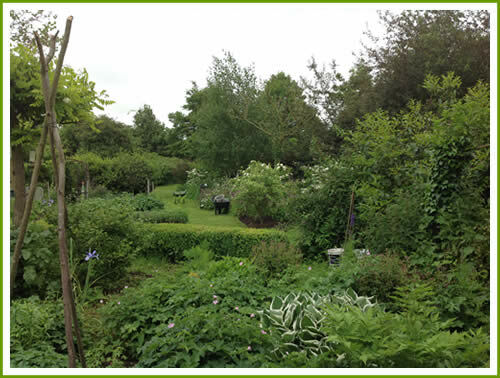 From the passionate gardener, and keen cook's point of view, the garden increasingly fulfils our needs, with fruit and vegetables from plot to plate as soon as they are ready. 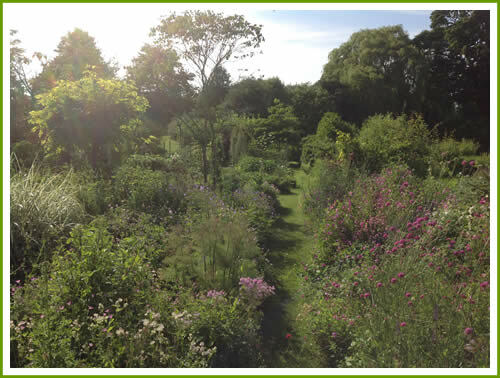 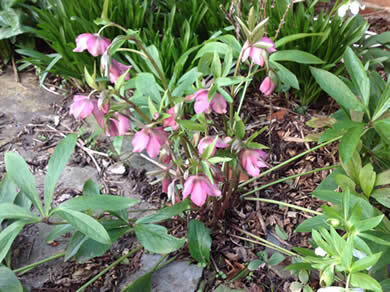 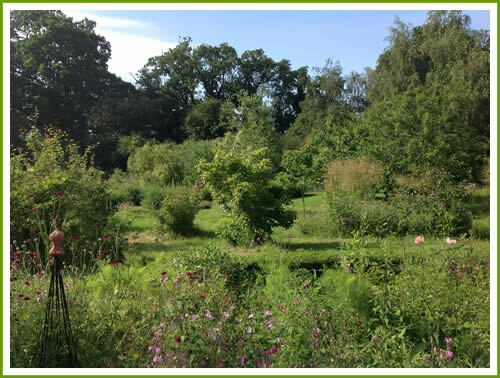 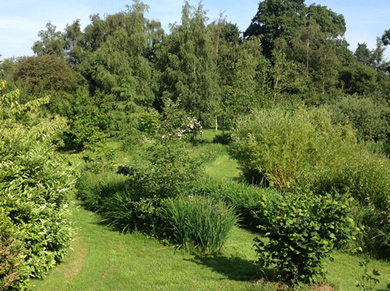 The long term aim is self sustainability with planting on the forest garden model incorporating as many productive plants as possible - imagine beautiful open woodland with grassy swathes of plants that help and support each other. 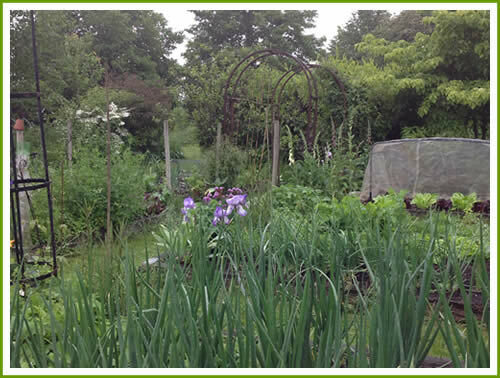 We garden organically as much as we can with massive use of companion plants to entice beneficial predators and pollinators onto the plot.